BOSTON, Ma. - The Massachusetts Bay Transportation Authority (MBTA) says a juvenile who "surfed" on top of an Orange Line train will face charges, reports CBS Boston. 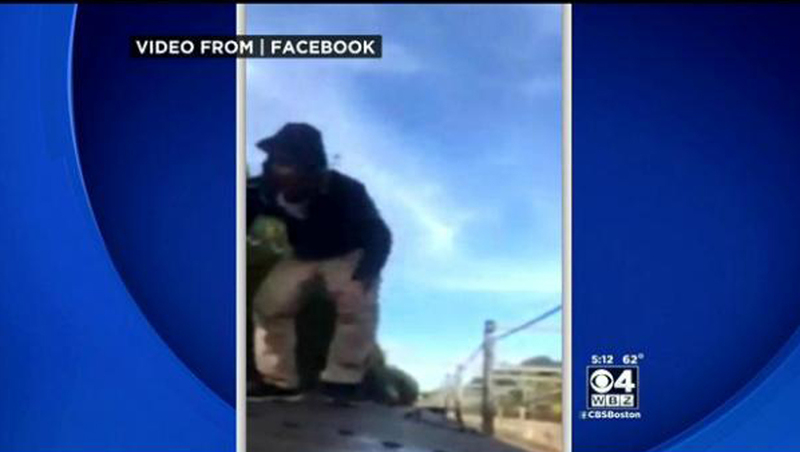 In a video posted to Facebook on Wednesday, the youth climbs up to the top of the train from between two cars while another person films him. According to the station, the climber is forced to duck to avoid hitting a bridge that passes just above his head. The juvenile then does a handstand before climbing back into the train. "His behavior was foolish and completely unacceptable," MBTA spokesman Joe Pesaturo says. Transit Police have identified the juvenile and he will be charged, reports the station. "What we're looking at right now is trespassing," Transit Police Dep. Chief Ken Green said. "But if stupidity was a charge, we would hit him with that as well." The video of the incident has been removed from Facebook.